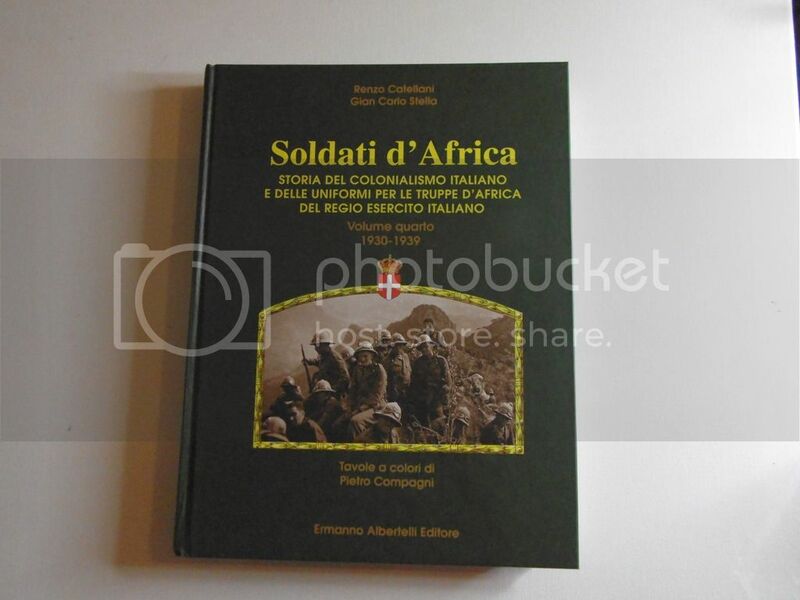 Cattelani, Renzo and Stella, Gian Carlo, Soldati d'Africa: Storia del Colonialismo Italiano e Delle Uniformi per le Truppe d'Africa del Regio Esercito Italiano. Volume IV 1930-39. Ermanno Albertelli, Parma, 2008. 28.5 x 22cm. 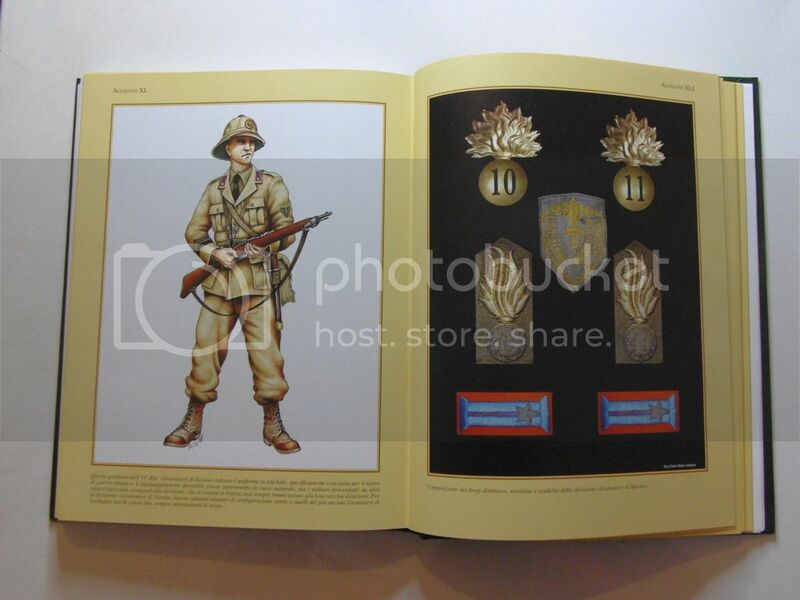 Hardback, 254 p. 72 full page colour plates of uniform drawings, period militaria and uniforms and insignia. Profusely illustrated with black and white photos, drawings. Some maps. Excellent/unread condition. 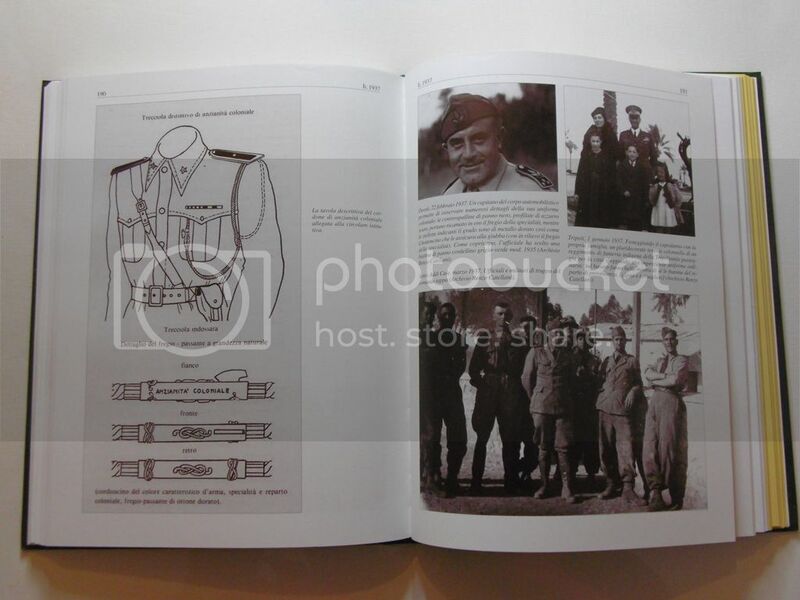 Study of Italian colonial uniforms in the 1930-39 period, includes a concise account of major campaigns and military events, reprints uniform regulations and drawings etc. Important source for Italian uniforms during the Abyssinia campaign. Usual retail price now about 40 Eu. I prefer payment by Paypal. Postage is extra and charged at cost. For reference I am in the UK. Looks a useful book for future reference! Anyone know if it has been translated (into English)?